We were pretty chuffed to be listed in Five Star magazine this summer. Described as being one of the ‘new breed’ of camping companies who provide a little bit of luxury in the outdoors. We love creating that perfect stay for families. And we know kids love camping! As one of our younger guests said to her mother, ‘I never want to leave!’ And another mother described it as a magical moment seeing her girls enter the tent. 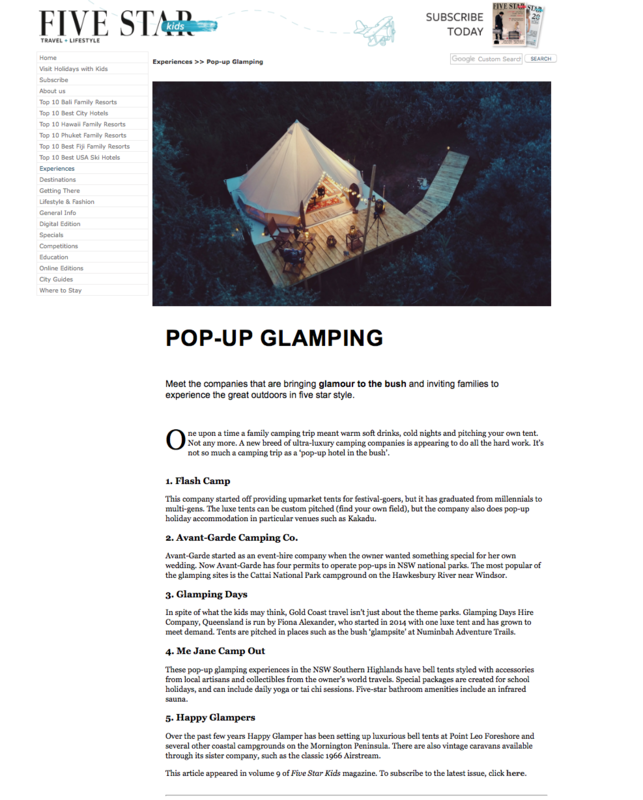 We think we might give ourselves a little pat on the back and say well done to us and this stellar line up of Australian glamping companies breathing new life into the camping world.